It’s only been two weeks since ‘Piegate’ was the talk of social media, but pies have been all over the media for a different reason this week – British Pie Week. National awareness days (which can actually be a dedicated week or even month) have become increasingly popular in recent years and are a fantastic way to spread an organisations’ key messages. These events have helped raise awareness and funds for worthwhile causes, such as Cancer Research UK, Alzheimer’s Society and NSPCC. But not all awareness events have a serious meaning, and there is now a dedicated day for almost anything, including National Pillow Fight Day and National BBQ Week. 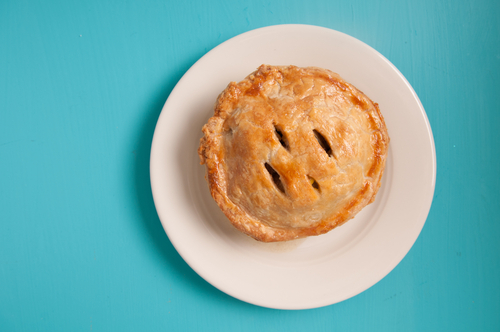 National awareness days, such as British Pie Week, are a fantastic opportunity for brands to get involved and show off its creative and humorous side. British Pie Week was created by pastry experts, Jus Rol, and this year it’s generated a lot of conversation on social media! But it’s not just the obvious brands, such as Pukka Pie, who have got involved. Household names such as Joseph Joseph and Red Letter Days have teamed up with well-known food suppliers to hold social media competitions in honour of British Pie Week – and we’re sure you can guess the prize! It’s not just the big brands that can jump on the band wagon, it’s a perfect opportunity for smaller brands to get involved and show their personality, whether it’s simply by joining in the conversation online, hosting an event or holding a competition. Are you interested to know how you can join in on the conversation and help spread your brands’ key messages? If so then we’d love to hear from you!